Putting contemporary Parisian bourgeoisie under the microscope, Agnès Jaoui (director of AF FFF2004’s opening night film, Comme une image and actress in Aurore, AF FFF2018), reunites with her long-time on and off-screen collaborator, Jean-Pierre Bacri, to deliver Place Publique – a riotous comedy about youth, cynicism and patriarchy in the post-truth age. 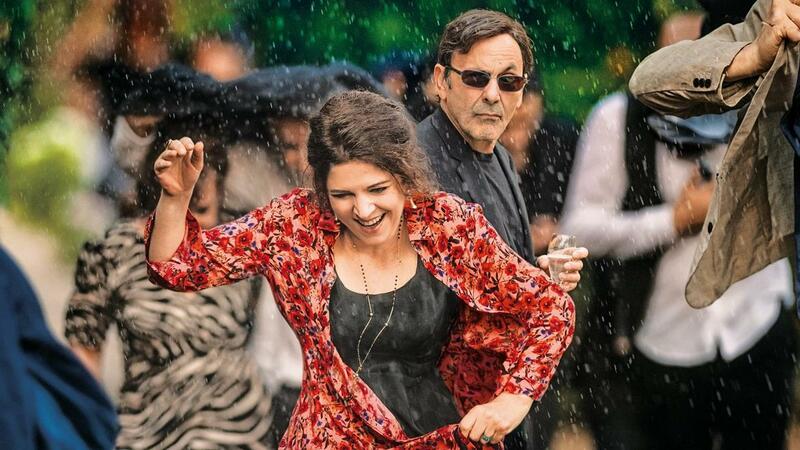 Castro (Jean-Pierre Bacri, AF FFF2018’s opening night film, C’est la vie!) is the cynical host of a gossip-fuelled TV show. Although he doesn’t realise it, moves are being made to replace him with younger talent, now that his star has started to wane. At a housewarming party thrown by his producer, Nathalie (Léa Drucker, Custody, AF FFF2018), Hélène – Nathalie’s sister and Castro’s ex-wife, no less (Agnès Jaoui) – and his estranged daughter, Nina (Nina Meurisse), force him to confront his own pretentiousness and superficiality. Could this idyllic afternoon in the countryside unexpectedly erupt into chaos? The many quirks and idiosyncrasies of the affluent and the diminishing privacy in this digital age all get the Jaoui comic treatment. With strong mainstream appeal, Place Publique has the makings of a sure-fire audience favourite at this year’s Festival. "With a ferocious humour worked in ferocity, the film criticizes the youth, the thirst for celebrity, social networks and Parisianism within a cheerful game of massacre."